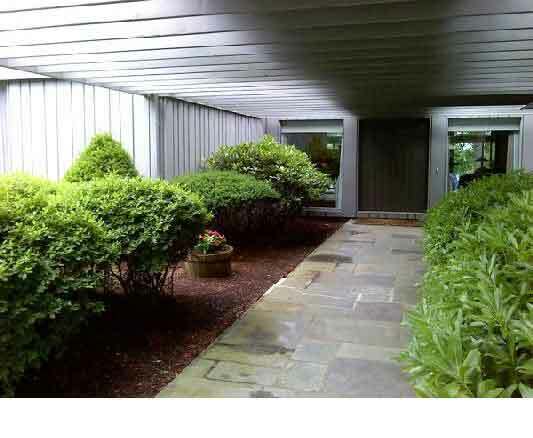 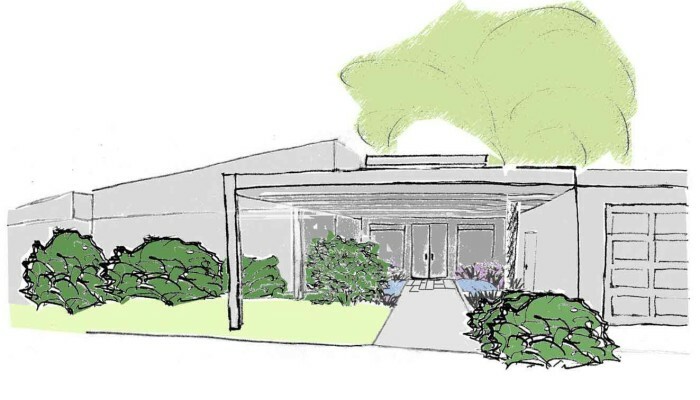 The plantings at the entry way of this contemporary home were overgrown, creating a claustrophobic and unwelcoming feeling, and the owners were interested in design alternatives to make the entrance more inviting. 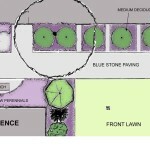 Paradise City Landscape Design developed two proposals with different planting schemes. 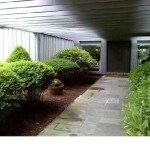 Both provide a vestibule with a granite sitting bench and a water feature to create a serene place to arrive. 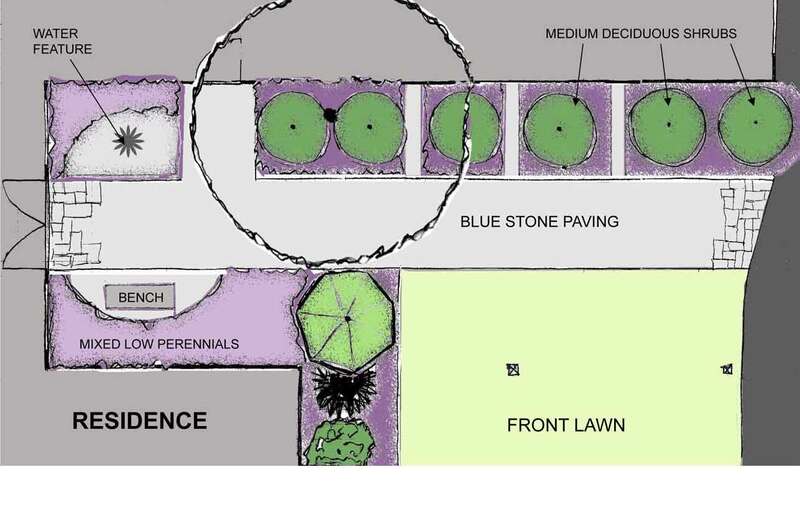 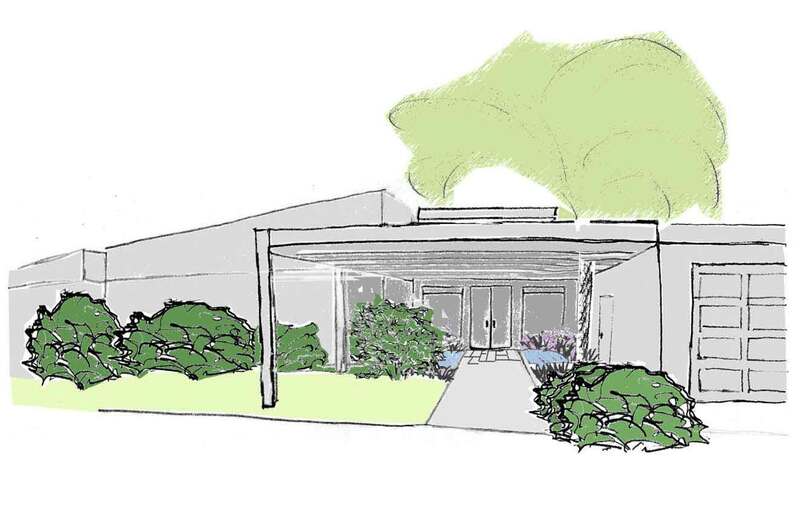 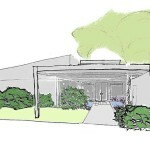 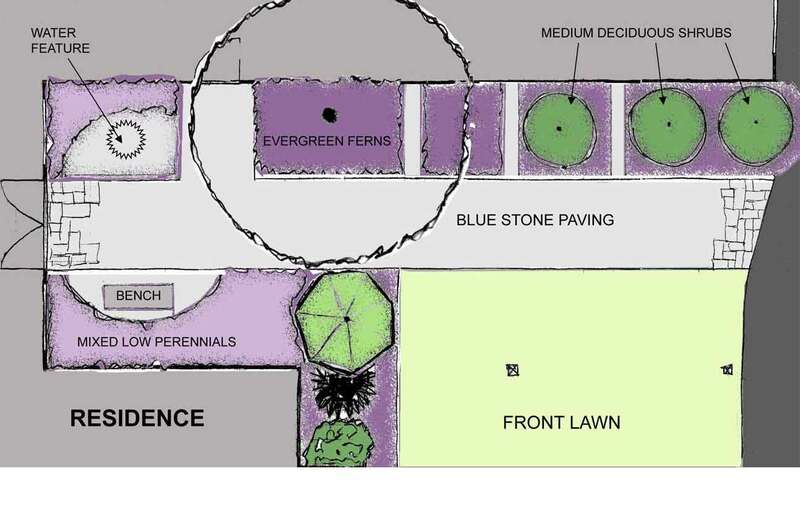 The first proposal uses a mix of shrubs and perennials for a more naturalized look, while the second proposal uses repetition in the shrub planting for a more contemporary look. 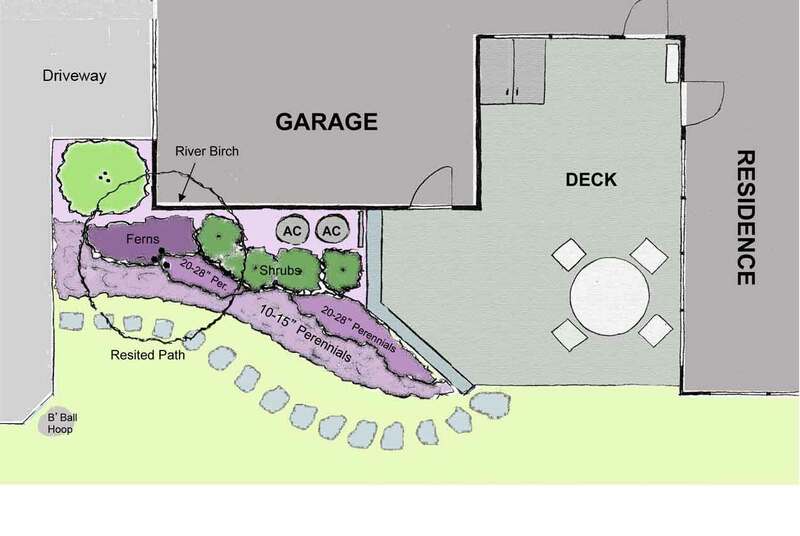 In addition, the redesigned plantings in the back yard better screen the air-conditioning units from the stepping stone path and deck. 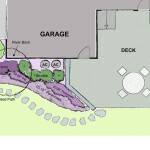 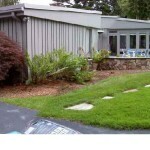 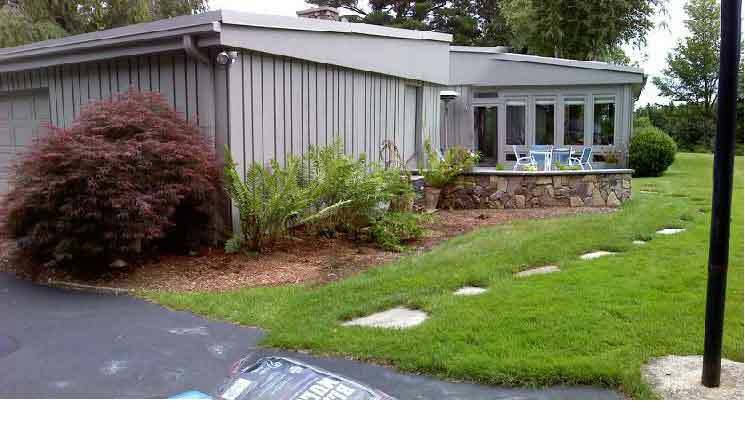 The owners plan to make the landscape changes themselves.